We love trails. Short trails, long trails, trails that wind through forests, and trails that take you straight through a vibrant city. The Coast to Coast Connector trail has it all: 250 continuous miles of natural landscapes, urban environments, and unique experiences between the Canaveral National Seashore and the Gulf of Mexico. The best part is that the C2C is just the beginning. 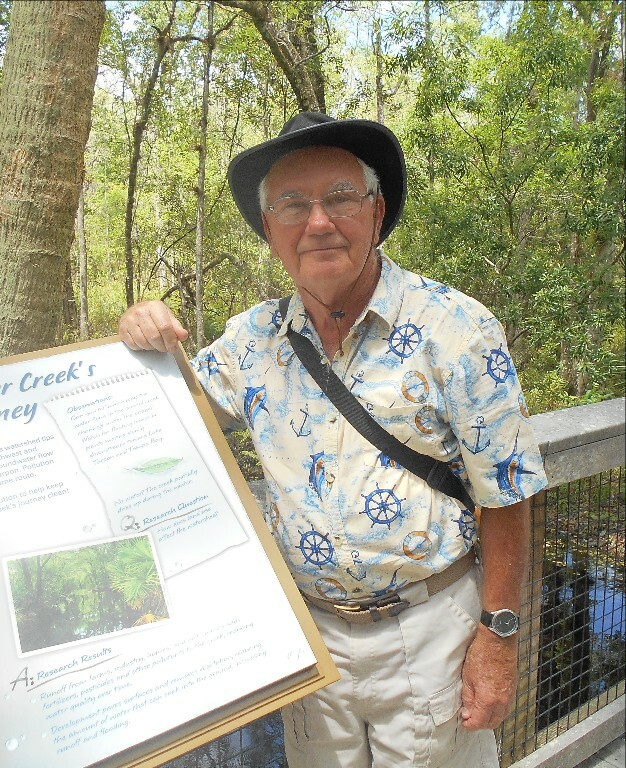 The Florida Greenways and Trails Foundation is championing regional, multi-use trails all over the state. We’re talking about connecting Jacksonville to Miami, Miami to Key West, and Naples to Tampa. The East Coast Greenway,Florida Keys Overseas Heritage Trail and the Southwest Coastal Regional Trail are just a few of the long-distance, paved trails coming to life around the Sunshine State. This means the future of Florida transportation will include thousands of miles of opportunity to travel safely between destinations without a plane, train, or automobile. We believe in connecting communities and people through trails. 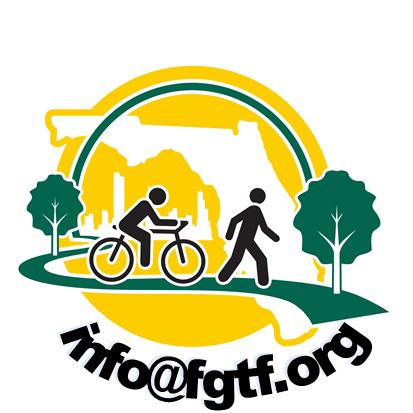 If you share our vision and want to move around Florida on two wheels or two feet, forward this newsletter, share it on social media, and tell your friends to sign up at info@fgtf.org. Whether you live in Orlando or the Panhandle – a trail is coming near your neighborhood. And, you are going to love it as much as we do. “If you build it, they will come.” But, first you need dedicated funding. That’s why the 2015 legislation that appropriated $25 million annually for the Shared-Use Nonmotorized Trail (SUN Trail) program is more than momentous. It’s a seismic paradigm shift on how our state and communities view biking, walking, recreation, and safety. What is the top funding priority? The Coast to Coast Connector. But how do trails become eligible for SUN Trail funding? First, they must be part of the Florida Greenways & Trails Priority System. 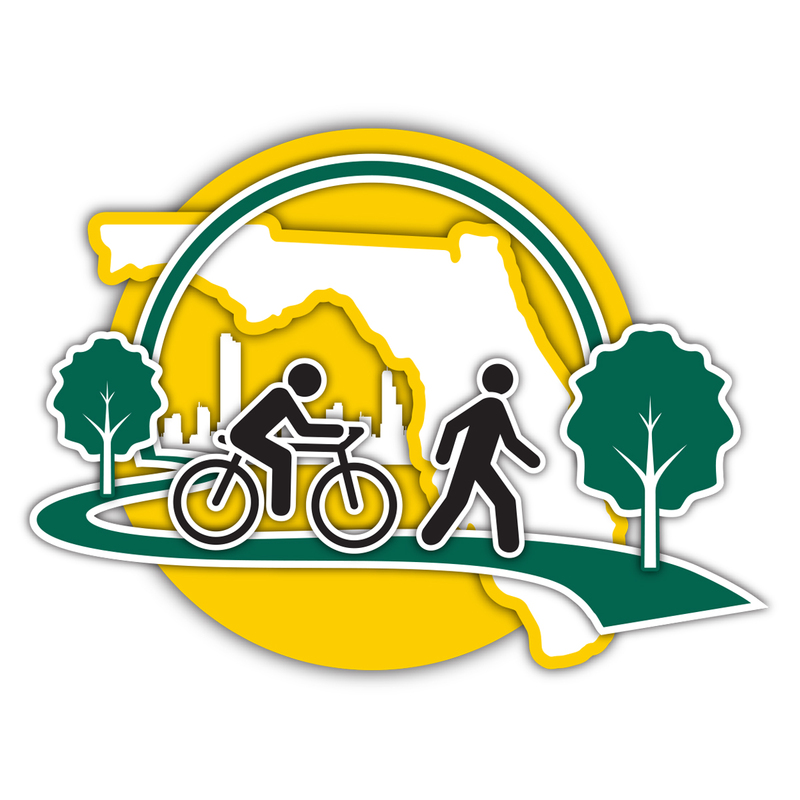 Then, the regional trails must meet eligibility criteria developed by FDOT and the Office of Greenways and Trails (OGT), which is reviewed via a public input process. This list is then presented to the Florida Greenways and Trails Council (FGTC), a 21-member appointed advisory board to OGT. FGTC is charged with recommending their top funding priorities to FDOT. At the March meeting, the FGTC approved the following priority order for regional trails: 1. St. John’s River-to-Sea Loop, 2. Capital City to the Sea Trails, 3. Southwest Coastal Regional Trail, 4. Heart of Florida Loop, and 5. East Coast Greenway (Southeast). Next up, FDOT will be working with the MPO’s and local governments to determine which trail segments and phases of work for the St. John’s River-to-Sea Loop will be ready to be programmed for funding beginning this summer. 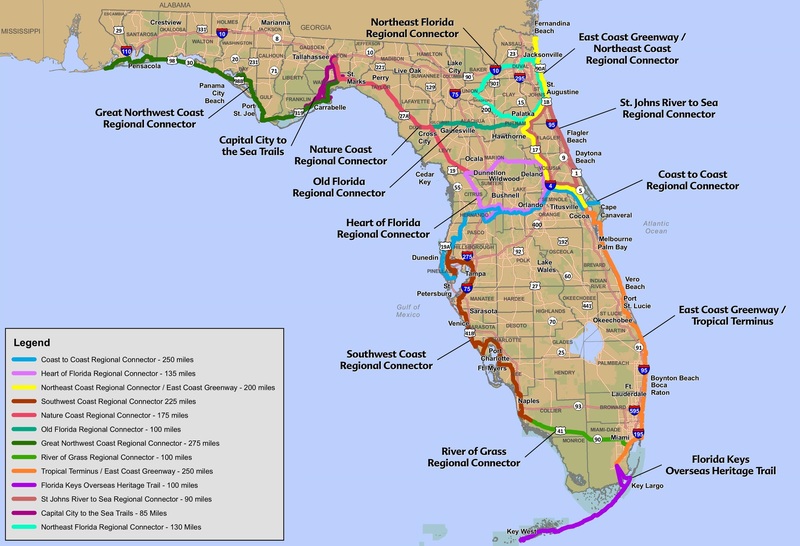 FDOT will continue to evaluate project phases along the C2C for new funding, and will also be selecting individual trails in other parts of the state to receive SUN Trail funding. From Tallahassee to Miami, and from the west coast to the east coast – the Sunshine State is going to become the SUN Trail state. In five years, cyclists and pedestrians will be able to travel from the Gulf of Mexico to the Atlantic Ocean, from Pensacola to Key West or from Naples to Jacksonville all on continuous, paved trails. But to make the vision of the Shared-Use-Non-motorized Trail Network, or SUN Trail, a reality, the Florida Department of Transportation must identify the gaps, and which to tackle first. “We’ve seen exponential growth [in cycling interest], especially within the last five to 10 years,” says Ed Gale. He points to the increasing number of new paved bike trails created by municipalities: “There is demand for them.” Many of those trails are not even part of the emerging Coast-to-Coast Connector, approximately 250 miles of local, regional, state and federal trails from Titusville to St. Petersburg. The Connector, nearly 75 percent complete, is the first of its kind in Florida and has already spurred commerce in places like Winter Garden. And the remaining gaps are expected to be filled within five years. Whether it’s putting the pedal to the metal on a trail for fitness, taking in sights for relaxation or getting around town efficiently, bicycling is a big deal. And big business for both the country and region.